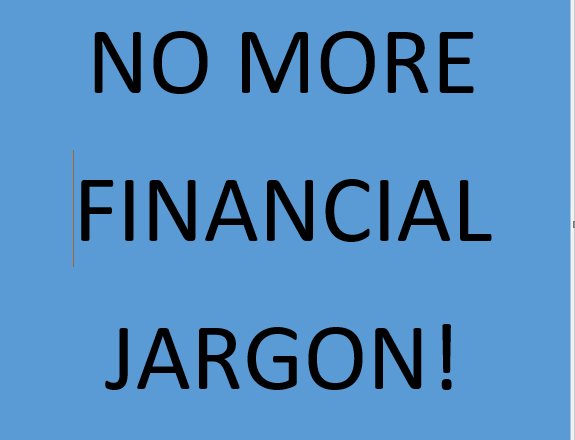 “How can I talk my boss out of using financial jargon?” I hear variations on this question from my clients and blog readers. 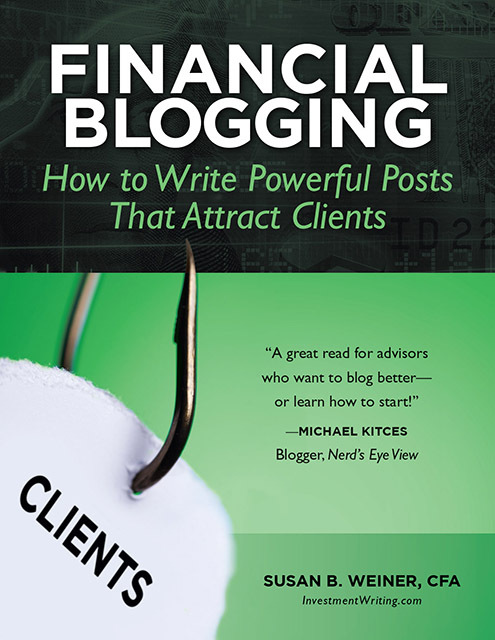 I’ve already written “Seven Ways to Talk Your Financial Execs Out of Jargon and Bad Writing” (registration required) for MarketingProfs. But recently I thought of a new idea to help you rein in the worst offenses by your firm’s lovers of complex language. Here’s my idea. Ask “What would The Wall Street Journal do?” We can call this technique WWTWSJD for short, in a nod to other “What would ____ do?” strategies. I suggest that you use WWTWSJD because most financial professionals read The Wall Street Journal. More importantly, they respect the newspaper. They don’t feel that it treats them as stupid. Thus, if you show them that the Journal wouldn’t use a piece of financial jargon, they might listen to you. Identify the piece of jargon that you’d like to eliminate from your firm’s publications. Then search to see if The Wall Street Journal uses it. How about “smart beta”? I found only three results. That result also suggests that the term isn’t widely understood. Even the more-complex “smart beta” or factor-based ETFs, which weight holdings according to an investment factor such as volatility or value instead of market capitalization, are able to manage constituent changes to minimize capital gains. “ ‘Smart beta,’ in particular, creates real due-diligence problems,” Mr. Nadig says, referring to the growth in index products that shun traditional market-cap weightings and instead weight holdings according to an investment factor such as volatility, value, quality or momentum. 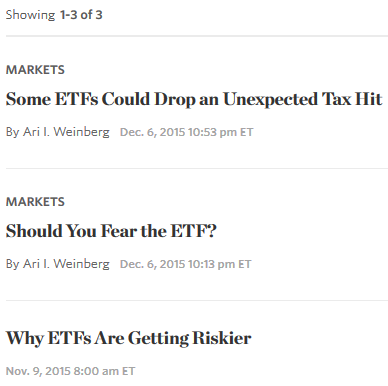 The third article using “smart beta” was written by one of the outside contributors to the newspaper’s “Ask the Experts” section. 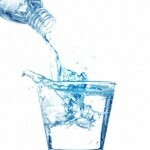 It seems to be considered as a blog post, based on a disclaimer on the comments page. I imagine that those pieces aren’t edited as rigorously for jargon as the pieces written by staffers. The editors let the outside contributors write in their own style. While I like the idea of using The Wall Street Journal to talk senior execs out of financial jargon, I’m a bit concerned about the shallowness of the archive that’s easily accessible online. The newspaper’s online search doesn’t appear to go back more than about three months. Thus, I’m checking The New York Times, another reasonably literate newspaper, because I can go back further in my search. Only one article used the term “convexity,” but it wasn’t used in a financial context. The article discussed the shape of a bowl scraper. 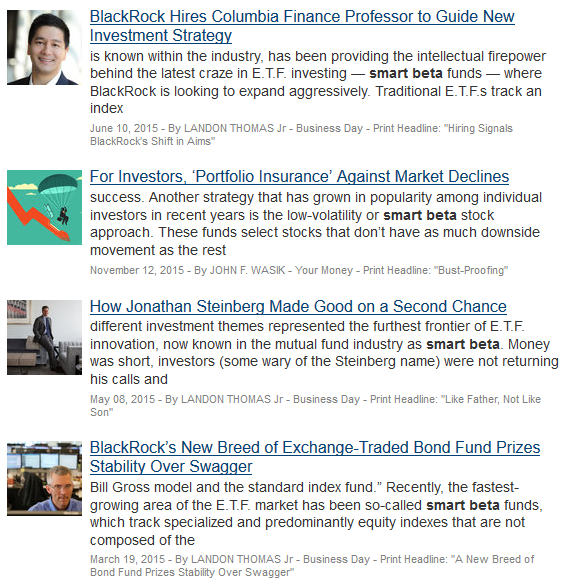 Four articles used “smart beta.” As you can see from the excerpts in my screenshot below, each article makes an attempt to define the term, rather than assuming the reader will understand it. 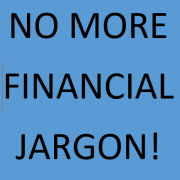 If you must use financial jargon, then define it. Need ideas about how to explain technical terms? The Wall Street Journal is a good source for explanations at a fairly sophisticated level. WWTSWJD? I’m a big believer in writing using plain language. Ideally, I’d like to write more plainly than The Wall Street Journal when addressing an audience outside the financial world. Even when you’re writing for institutional investors, you may encounter readers with less knowledge than you of financial vocabulary. However, sometimes multisyllabic vocabulary and financial jargon are more precise or make for easier communication. This is true only when you’re communicating with other highly knowledgeable professionals. For example, saying something increased by 200 basis points is more precise than saying it rose two percent. And if your readers care about measures like Sharpe ratios, there’s no substitute for using those terms. Financial jargon must be learned well in order to understand the system. Thanks for this post. It was helpful.